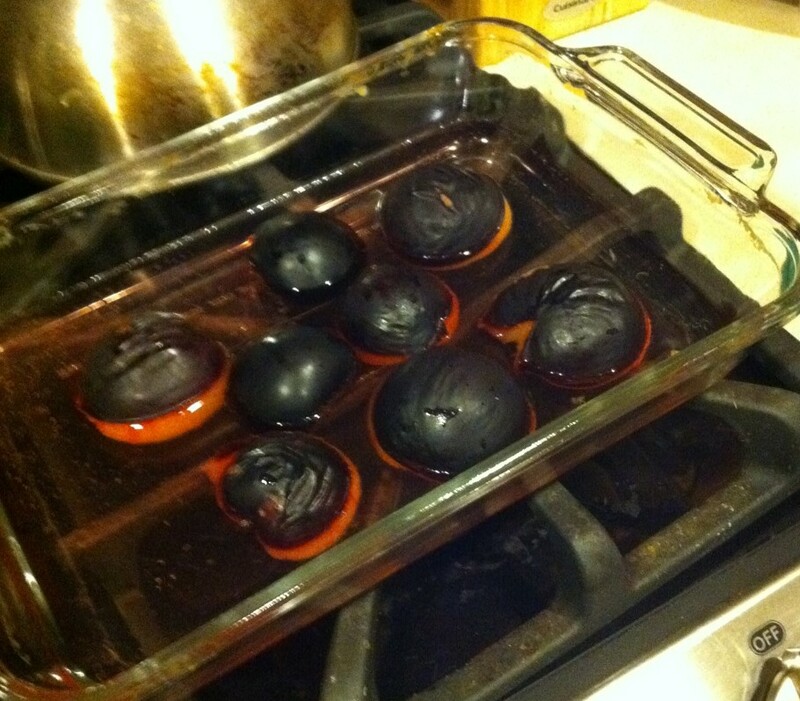 After posting a couple of veggie recipes in a row I decided it was time for something a little bit sweeter! Penelope, my husband and I took a little drive into Oregon city to Albeke Farms. 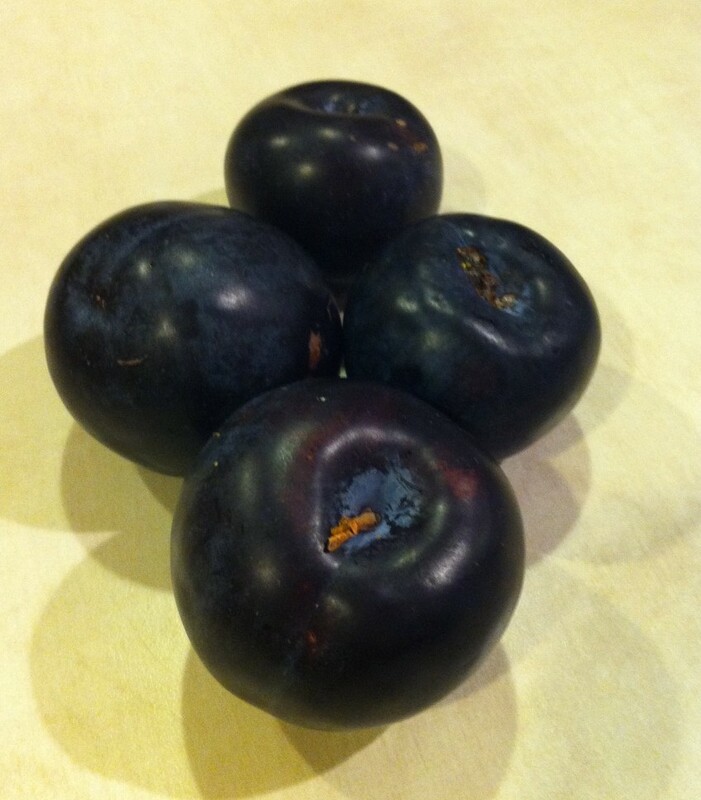 While there we picked up some fresh local produce including some nice, ripe plums. 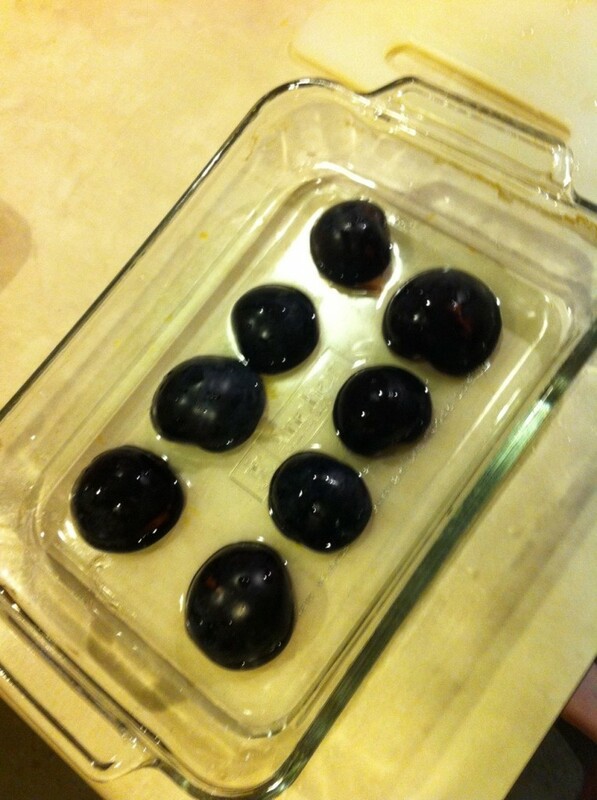 I’ve never been much of a plum person myself, but after slow baking them for Penelope and smelling the amazing aroma wafting from the oven, I just may go ahead and try them out in a dessert dish! 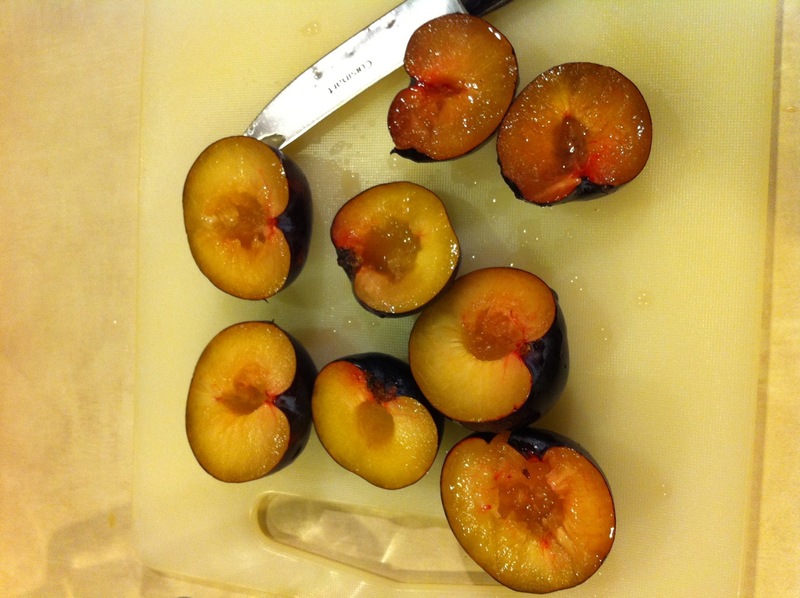 Wash the plums and then slice them in half , twist apart and remove pit. 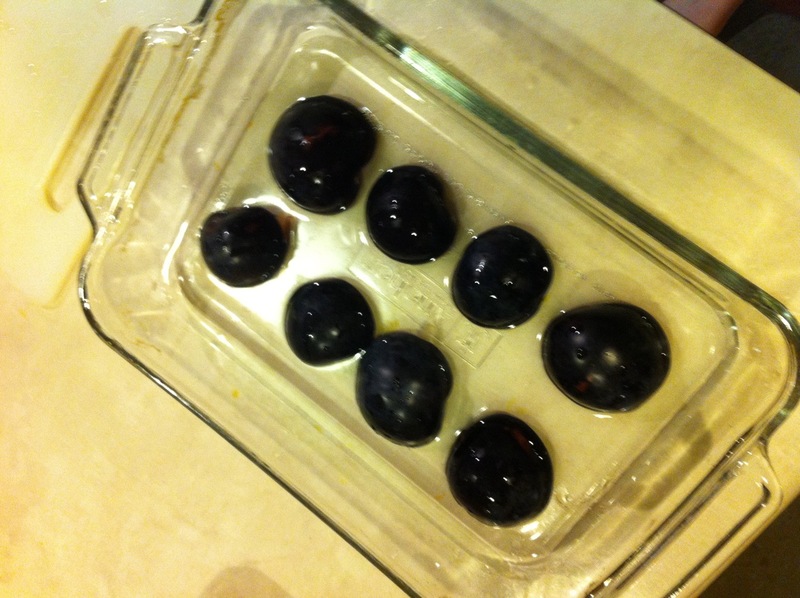 Fill a baking dish about 1/2″ with water. 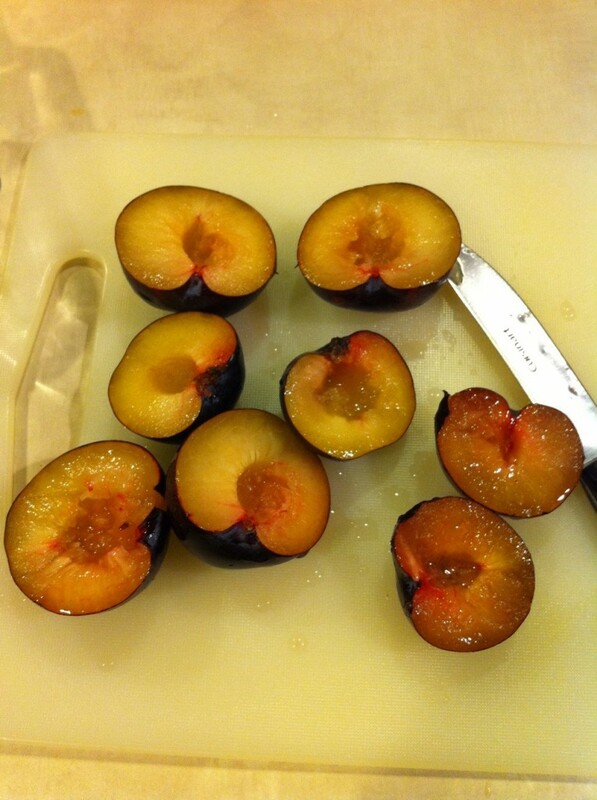 Place plums in the dish, cut side down. Bake in the oven at 400 degrees until the skin wrinkles a bit. 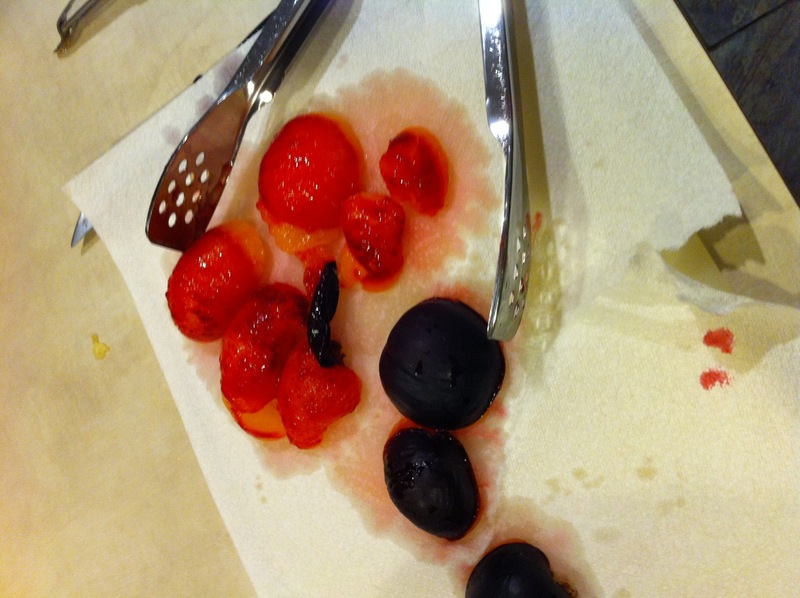 Remove from oven and peel off skin. 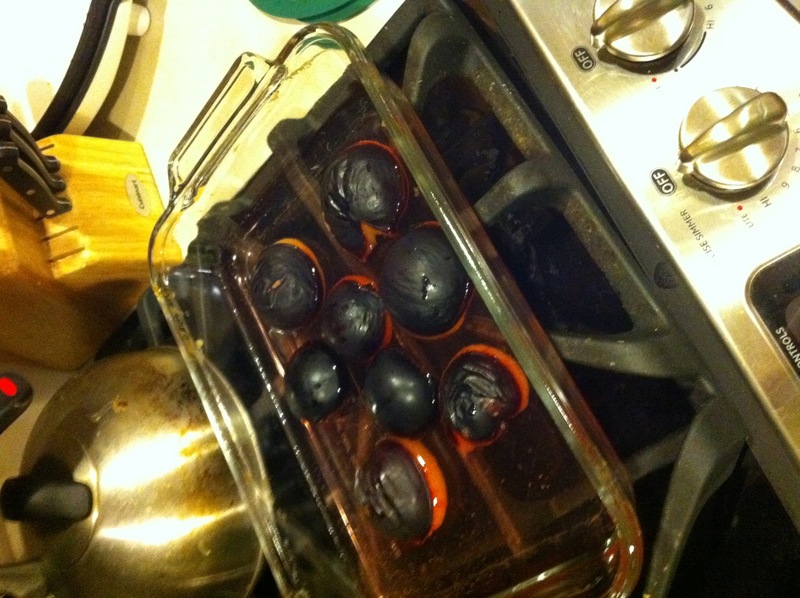 If they are cooked enough it should easily slip right off. 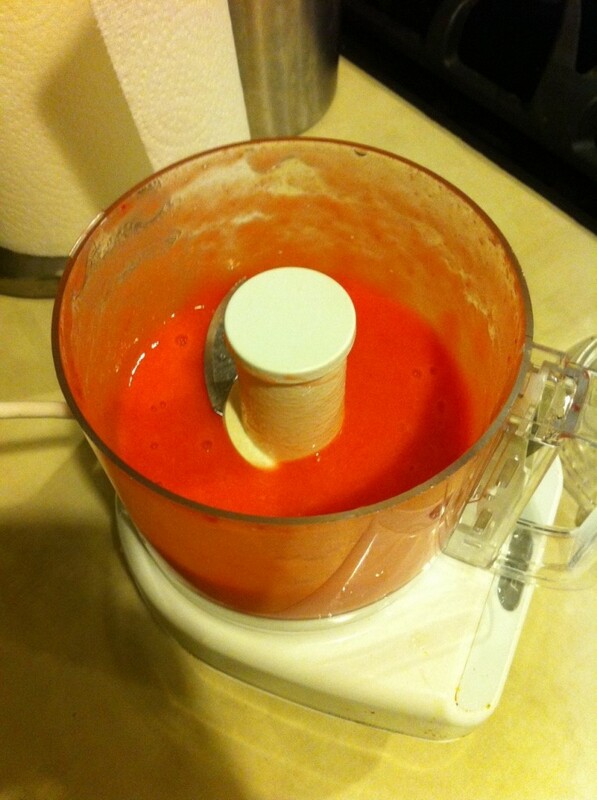 Place plums in the food processor and puree. 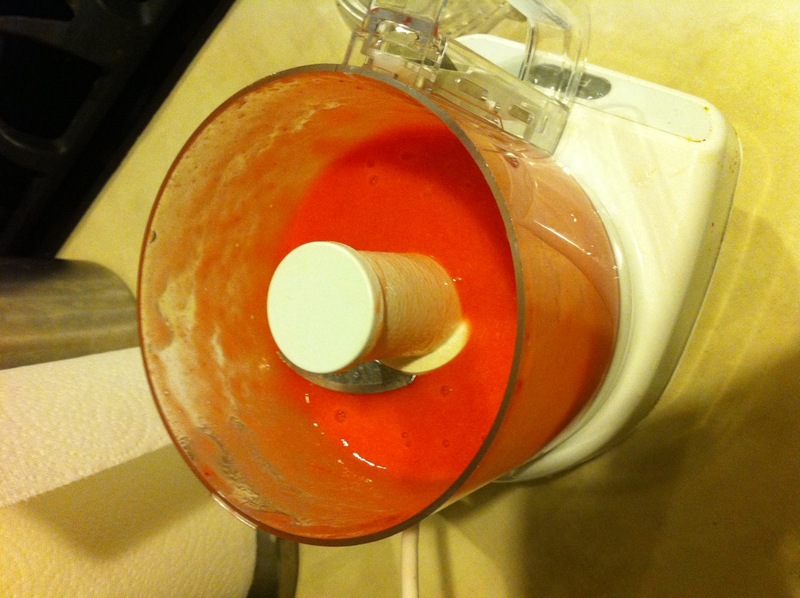 Add the reserved baking water as needed to thin the puree during blending to a consistency that you like. 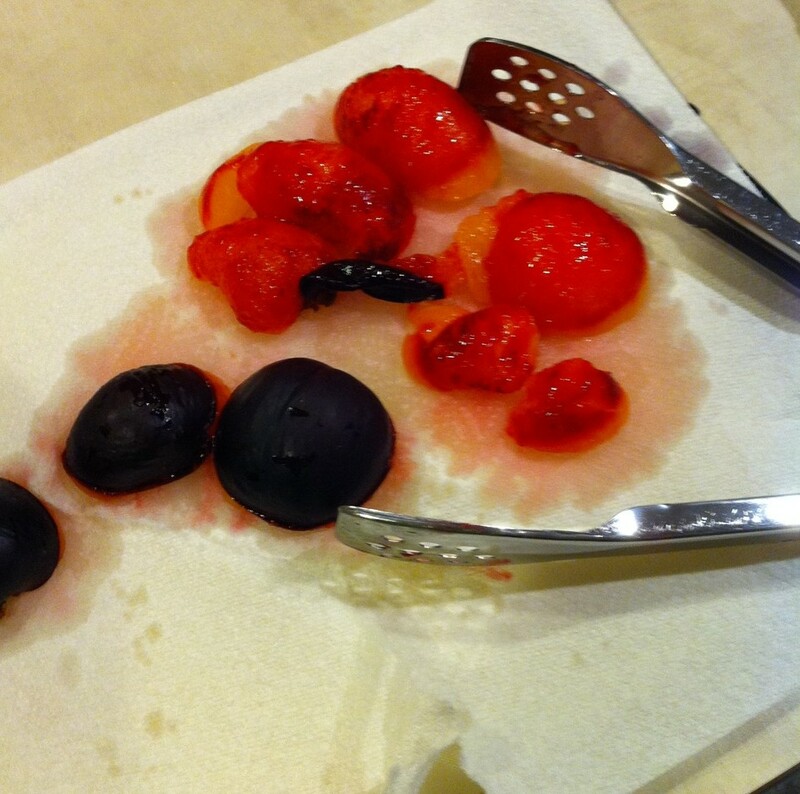 Once pureed, fill an ice cube tray with the mixture, cover in saran wrap and freeze. 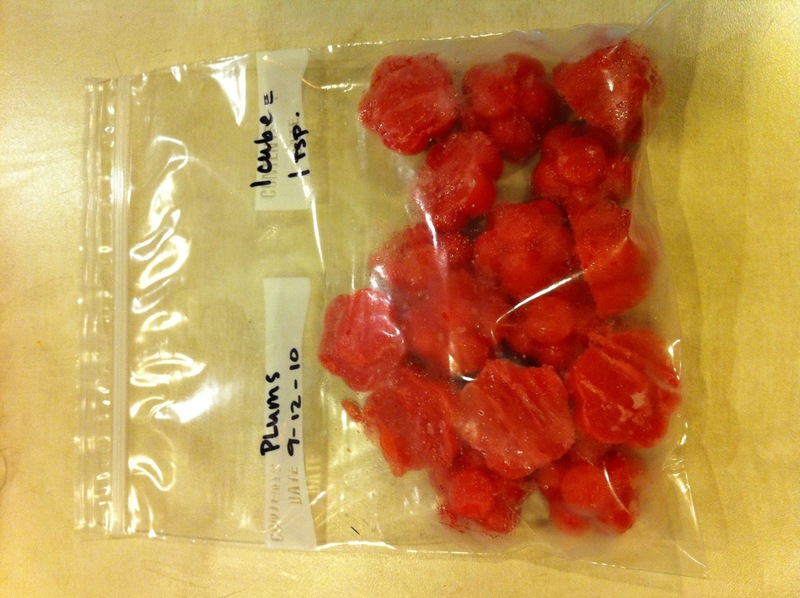 After the puree is frozen, remove the cubes from the tray, label a freezer storage bag with the title and the date and place cubes in it for safe freezing. 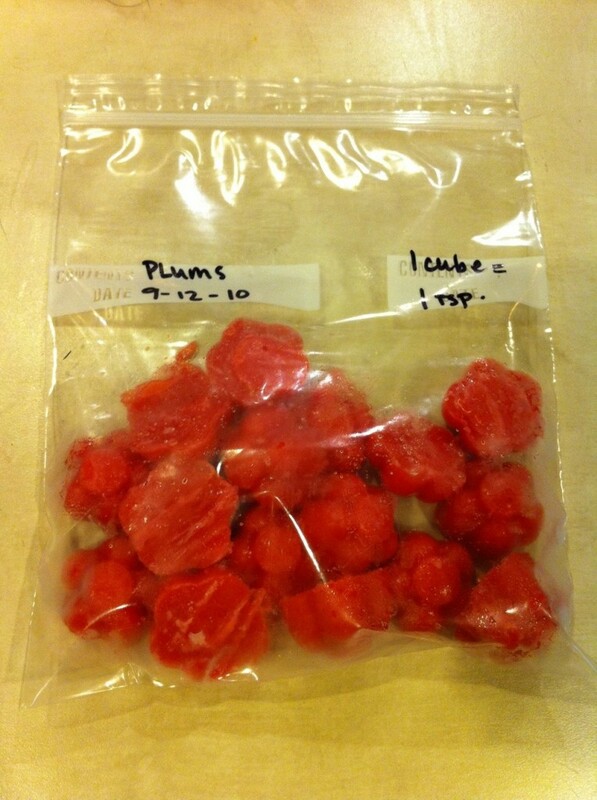 They will keep in your freezer for up to one month! Did you know? 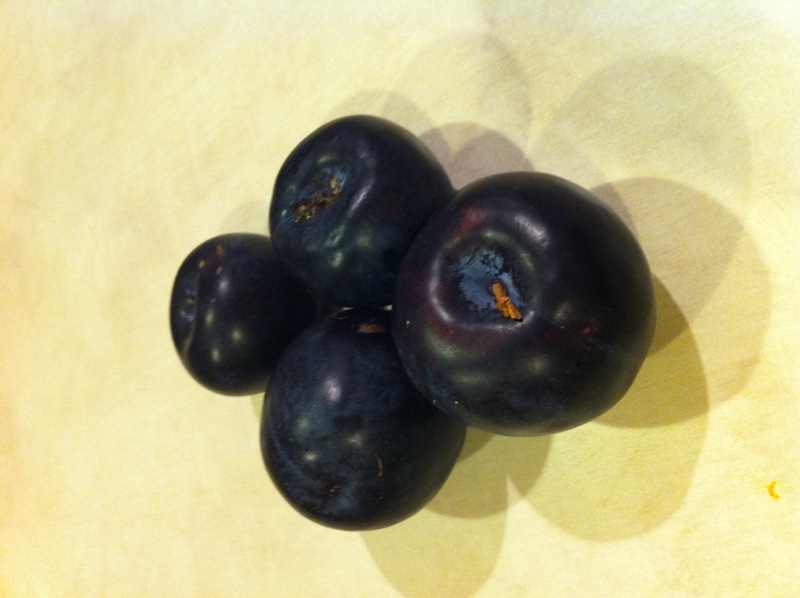 Plums are high in fiber and in turn are great at improving your digestive system. They are the perfect food to give your little one if they are a bit backed up.